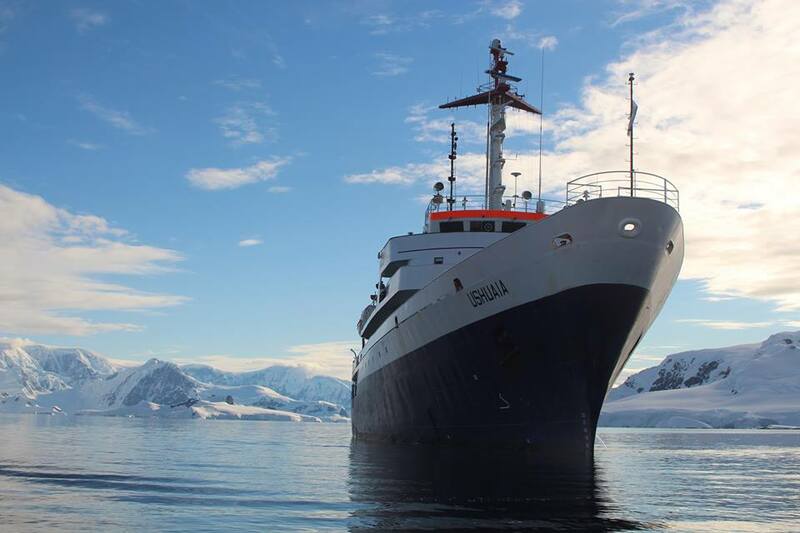 The Ushuaia is a beautiful old ship (NOT boat). If I were to compare it to a motel, I would say it’s a rough 3-star beastie with important history – from spy ship for the Russians, to Noah vessel for scientific research. Inside the ship, it is a rabbit warren of rooms, from a couple at the bottom of the ship, without windows (two bunks) to the ‘luxury’ (said advisedly) rooms on the top floor with two double beds and a private bathroom. If you are on the bottom of the ship, in theory there is a lot less rolling. The top floor is held for the faculty. These are the rooms in which we store program materials, have faculty meetings and do all the coaching (sometimes one on one, sometimes in groups). So, what is life like on the Ushuaia? It is like a huge well-worn family home. We all find the spot that feels like ours, and that’s where we make our nest. This rabbit warren of rooms plays to our fantasies as children – the ship is our cubbyhouse. There is always laughter and talking and not infrequently headphones (to alert others to leave them be, reflecting, listening to their own music, podcasts or simply creating silence). For myself, every day has started with a quiet ‘good morning’ to Christiana followed by the sometimes tricky process of boiling water and making both of us a cup of tea in bed. It’s tricky because you have to boil the water while holding the kettle (just in case), then get out the milk from the fridge (holding it firmly, just in case) then getting my mug and Christiana’s thermos (also holding them firmly just in case) and then engineering making the tea. Breakfast is my favourite meal, largely because I choose my own food, get a protein and vegie fix that is hard to repeat during the balance of the day. We all squeeze ourselves into tables and chairs that are fixed (made once upon a time for much smaller people). It’s not uncommon to get your leg wedged between two chairs. Un-wedging brings about a lot of laughter. Many people have written about what we do during the day – the leadership work we cover and the places we visit, so I won’t repeat this now. All I will say is the most memorable part of Homeward Bound is the overwhelming sense of belonging, the collaboration, the laughter and the kindnesses which are ever present. Homesickness, motionsickness, fatigue, overwhelm are all part of the journey but it is the immense love and friendship that is the constant. Very precious and it makes me wonder what our world would be like if women led, at the very least, in equal measure to me.